Less than a month since we first featured Lenny Bull she returns with 'Somebody's Girl' a really fine song with just a hint of The Pretenders in upbeat mode, a compliment if ever there was one. 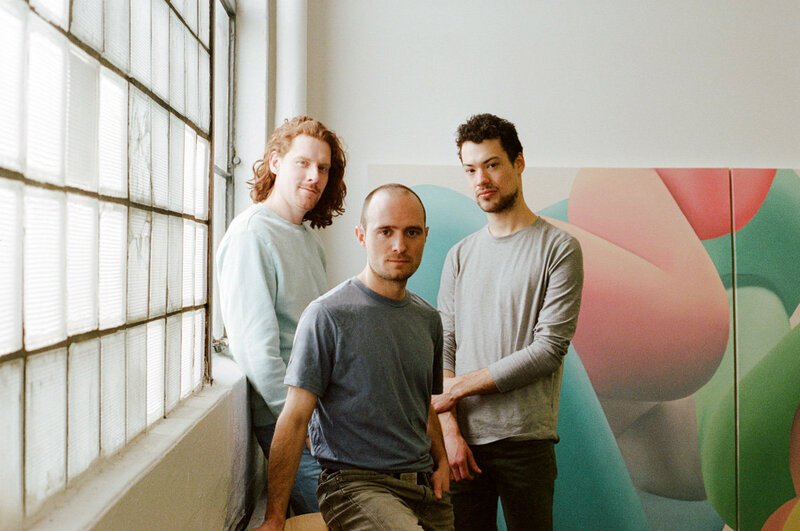 Live electronic trio Saxsyndrum's brand new album is streamed in full below, their genre spanning music based on sax, drums and vocals is well worth digging into. 'Dream Merchants' from Blushing mixes shoegaze vibes, ethereal vocals and a feisty guitar rock feel that collectively work wonders. Lenny Bull - Somebody's Girl. The the new video for "Somebody's Girl" (the latest single) has just been released. With her debut EP “Sharp Teeth” Lenny Bull gives an honest, witty insight to her musings with timeless songwriting. Inspired by early punk records from the 70’s and 80’s, Lenny Bull gives a vibrant twist to a vintage sound. Her music has an innately retro feel, laced with chorusy guitar hooks, punchy drum fills, and driving bass lines. Sometimes mischievous, sometimes provocative, sometimes humorous, her songs dive into relationships, getting over yourself, and not taking any bull. Saxsyndrum - Second Nature (Album). Montreal-based live electronic trio Saxsyndrum are pleased to release Second Nature, their sophomore full-length on So Sorry Records, with vinyl production supported by Record Centre Records. The second single "Dream Merchants" off Austin TX alterna-gaze quartet Blushing's upcoming debut LP has just been released. Comprised of two husband and wife teams, Blushing is an Austin TX based dream pop / shoegaze quartet that originated in the summer of 2015 after Michelle Soto (guitar, vocals) shared her songs with long-time friend and classically trained vocalist Christina Carmona (vocals, bass). Picking up the bass, Carmona helped to fully flesh out tracks and the two incorporated their spouses Jake Soto (drums) and Noe Carmona (guitar). Their debut EP "Tether" was self-released in 2017, followed by their EP "Weak" on Austin Town Hall Records in January of 2018. Gaining infectious momentum, Blushing have since been asked to play official SXSW showcases in 2018 and 2019, Athens Pop Fest and have shared stages with the likes of La Luz, Snail Mail, Sunflower Bean, BRONCHO and many more. 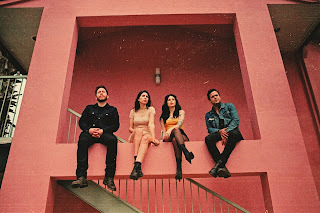 They were recently picked by SXSW to be one of the featured artist in the 2019 SXSW Music Preview guide. They released the single "The Truth" (b/w “Sunshine”) on October 26th both digitally and on 7" pink vinyl via The Nothing Song Records. Recorded, mixed and produced by Elliott Frazier of Ringo Deathstarr both "The Truth" and "Sunshine" showcase a growth in the band's expansive, cascading sound laden with ethereal vocals and fervent guitar, simultaneously capable of reining in with emotional and melodic space. Sunshine was also selected by KEXP as Song of the Day for January 3rd 2019.